Your guests will be dying to know where you got this special Photos To Canvas Art! Display our Personalized Family Photo Word-Art Horizontal Canvas in your home. 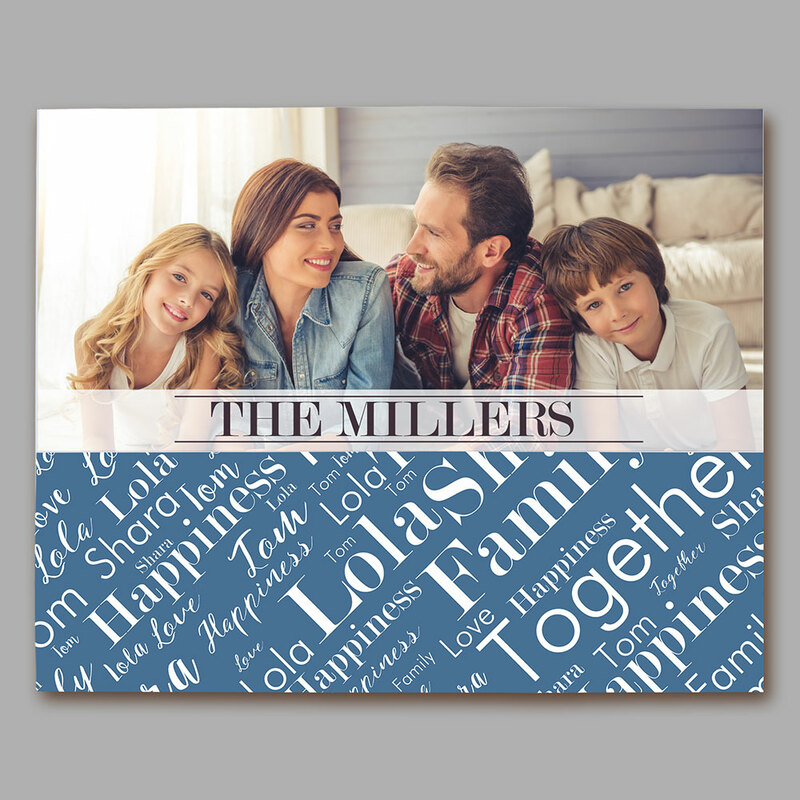 We will uniquely personalize this horizontal canvas with any family photo, custom message line and your choice of words or sayings with our exclusive word-art tool. Put family member's names in to create a design that is completely unique and customized to your home - you choose the color scheme, names and more. The Word-Art design will run off of the edge of the canvas. Our personalized word-art gifts make for excellent house warming gifts for any family! If you would like to see another rendition of your word art design simply select the View Your Personalization button again. This will automatically create another version for review.